AMS are delighted to announce we will be hosting the annual Aircraft Recovery Task Force conference for IATA members on the 18th and 19th June 2014. A number of IATA members vied for the honour of hosting this annual event for 2014 and members were invited to vote for their preferred venue. AMS secured the majority of votes cast and will be hosting the conference at the Mercure Windsor Castle Hotel on the 18th and 19th June. This is the first time the conference has been held outside of North America and AMS selected a venue close to Heathrow, for the convenience of the many delegates travelling in from across the globe for the event. 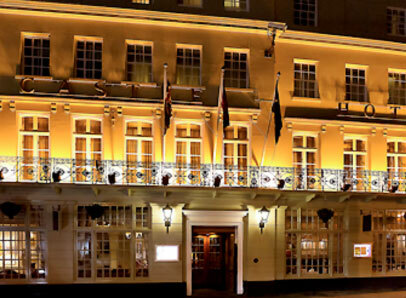 The Mercure Windsor Castle Hotel provides a convenient location that also offers historic interest for first-time visitors to the UK. With Windsor Castle directly opposite, an excellent selection of places to eat and useful transport links within walking distance, AMS believe it will provide a first-class location for this year’s gathering.